The film will be a starry affair with a star cast that includes Anupam Kher, Neil Nitin Mukesh, Deepak Debroyal, Swara Bhaskar and Samaira Rao. 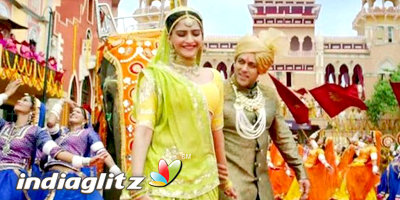 Reportedly, in ‘Prem Ratan Dhan Payo’, Salman plays duel characters - as that of a prince and a common man - while Sonam essays the role of a princess. The music of the film is given by Himesh Reshamiya, lyricst by Irshad Kamil. The Director Photography is Harish Joshi while the Production Design is by Nitin Desai and Sound Design is by Jitendra Choudhry. Sanjay Sankla is the Editor and Kaushal Moses and Greg Powell has handled the Action. Produced under Rajshri Productions, the film is slated to be a Diwali release.